UK police are drilling down on a genre of rap music that they claim is driving rising knife and gun crime in London. YouTube has deleted about 30 of 50-60 targeted by the Metropolitan Police in a dedicated operation against drill music, which originated in Chicago and has become increasingly popular in Britain. Senior officers say the videos, which frequently contain graphic threats and gun signs, glamourise violence. Detective Superintendent Mike West said the number of videos that incite violence have been increasing since late 2015. The gangs try to outrival each other with the filming and content -- what looks like a music video can actually contain explicit language with gangs threatening each other, he added. There are gestures of violence, with hand signals suggesting they are firing weapons and graphic descriptions of what they would do to each other. Scotland Yard has compiled a central database of more than 1,400 indexed videos that are used to gather intelligence. Anyone identified in the videos can be targeted with action including criminal behaviour orders that can prevent them from associating with certain people, entering designated areas, wearing hoods or using social media and unregistered mobile phones. Det Supt West said that only videos that raise the risk of violence are flagged, rather than drill music in general. Five gang members caught with machetes and baseball bats have been banned from making drill music glorifying violence. Members of the 1011 gang were jailed or detained for conspiracy to commit violent disorder, in Notting Hill. The Criminal Behaviour Orders (CBOs), thought to be the first of their kind, bans the group from mentioning death or injury in songs or on social media. Three leaders will also be required to inform police of new music videos and upcoming performances. Recorder Ann Mulligan at Kingston Crown Court issued the three-year CBOs, following an application by the Metropolitan Police's Trident gang unit. There is a censorship problem in the country. There are a lot of young musicians in this country whose only outlet for expressing themselves is music. It might be violent but what do you expect in the Britain we're in right now? The Home Secretary Sajid Javid has announced £1.38 million to strengthen the police's response to violent and gang-related online content. Funding from the government's £40 million Serious Violence Strategy will be used to create a 20-strong team of police staff and officers tasked with disrupting and removing overt and covert gang-related online content. The social media censor will proactively flag illegal and harmful online content for social media companies to take down. Hosted by the Metropolitan Police, the new capability will also prevent violence on our streets by identifying gang-related messages generating the most risk and violence. The move follows the Serious Violence Taskforce chaired by the Home Secretary urging social media companies to do more to take down these videos. The Home Secretary invited representatives from Facebook and Google to Monday's meeting to explain the preventative action they are already taking against gang material hosted on their platforms. Street gangs are increasingly using social media as a platform to incite violence, taunt each other and promote crime. This is a major concern and I want companies such as Facebook and Google to do more. We are taking urgent action and the new social media hub will improve the police's ability to identify and remove this dangerous content. Police forces across the country are committed to doing everything we can to tackle violent crime and the impact that it has on our communities. Through this funding we can develop a team that is a centre of expertise and excellence that will target violent gangs and those plotting and encouraging violence online. By working together with social media companies we will ensure that online material that glamourises murder, lures young people into a dangerous, violent life of crime, and encourages violence is quickly dealt with to cut off this outlet for gangs and criminals. Looking to the future we aim to develop a world class capability that will tackle the type of dangerous social media activity that promotes or encourages serious violence. It is already an offence to incite, assist, or encourage violence online and the Home Office is focused towards building on the relationships made with social media providers to identify where we can take action relevant to tackling serious violence. West London music group 1011 has recently been banned from recording or performing music without police permission. 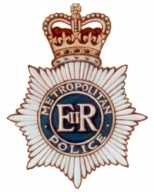 On June 15, the Metropolitan police issued the group, which has been the subject of a two-year police investigation, with a Criminal Behaviour Order . For the next three years, five members of the group -- which creates and performs a UK version of drill, a genre of hip-hop that emerged from Chicago -- must give 24 hours notice of the release of any music video, and 48 hours notice of any live performance. They are also banned from attending Notting Hill Carnival and wearing balaclavas. The sharing of YouTube videos and other social media activity are used as potential criteria for adding names to the Matrix, with grime music videos featuring gang names or signs considered a particular possible indicator of likely gang affiliation. Furthermore, recent research indicates that almost 90% of those on the Matrix are black or ethnic minority. For young people who make music, video is a key way to share their work with a wider audience. Online platforms such as SBTV, LinkUp TV , GRM daily and UK Grime are all popular sites. Often using street corners and housing estates as a location, these videos are a central component of the urban music scene. But the making of these music videos appears to feed into a continuing unease about youth crime and public safety. Fifteen years ago, ministers were concerned about rap lyrics; in 2007 some MPs demanded to have videos banned after a shooting in Liverpool. UK drill music is only the focus of the most recent crackdown by the Metropolitan police, which has requested YouTube to remove any music videos with violent content. The production and circulation of urban music videos has become a contested activity -- and performance in the public sphere is presented as a cause for concern. This is leading to the criminalisation of everyday pursuits. Young people from poor backgrounds are now becoming categorised as troublemakers through the mere act of making a music video. The war on drill rages on. Some of its most popular videos have been banned from YouTube. 1011, a prominent rap group, is now banned from making music with any mention of death or injury, and must inform police about all upcoming videos and shows. In June, the police gained a court order that effectively bans drill music being made without their permission. However, even if YouTube has deemed the genre as too explicit or dangerous, it's not too explicit for Pornhub, where some drill videos are now being uploaded. DJ and presenter Tim Westwood's broadcasting of drill artists is turning up on Pornhub. His Crib Sessions with BSIDE , 1011 , and Zone have appeared on the adult film site, after being pulled down from YouTube, alongside a host of 1011's music videos which made their way onto the site over the weekend. Two men who breached an injunction banning them from making drill music have been given suspended jail sentences of nine months each. The ruling comes as Scotland Yard continues its controversial crackdown on the rap genre, a strategy which has attracted significant criticism from drill fans. I am pleased with the sentences passed in these cases which reflect that the police and courts are unwilling to accept behaviour leading to serious violence. YouTube is removing more drill videos reported by the Metropolitan Police for provoking violence. The Google-owned video giant had deleted 102 of 129 videos requested by Scotland Yard as of last month, according to figures seen by the Press Association. The clips are predominantly videos for tracks from the rap sub-genre. Just over six months earlier, YouTube had removed about 30 such videos since September 2015. That figure was about half of the videos the Met had referred to YouTube, whereas the platform has now approved about 80% of requests. YouTube is continuing take down drill music videos at the request of London police. The Metropolitan Police has continually argued that the underground rap genre is partly responsible, linked a spate of knife attacks to violent lyrics. As of last month, the police had requested the removal of 129 videos, of which the music sharing platform deleted 102. This purge has escalated since May last year at which point the Press Association reported that police had requested 50 to 60 videos be removed over the course of two years and Youtube, in response, deleted 30. Some of the videos that were removed later resurfaced on Pornhub. Mike West heads a London police unit that has compiled a database of around 1,900 drill videos that he told the Press Association, generate purely a violent retaliatory response. Last month police closed a landmark case against Skengdo and AM, two of the biggest names in the UK drill scene. The duo pled guilty to breaching a gang injunction by performing their song Attempted 1.0 during a sold out concert at Koko, London. They received a suspended nine-month jail sentence, making it the first time in British history that an artist has been sentenced to prison for performing a song.